The launch provided an opportunity for over 80 of our members to engage and network with journalists, researchers and news team staff from BBC NI to hear first-hand how the sector can feed into their news and current affairs work, including some of the realities of what it is they are looking for from the sector. 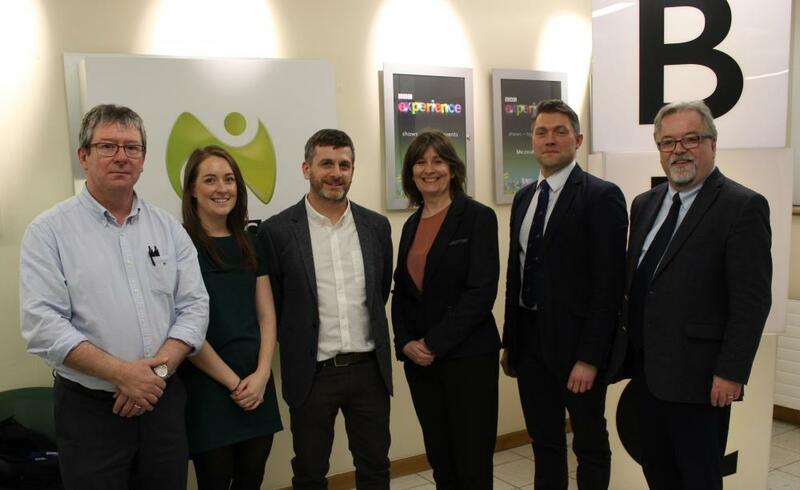 NICVA Chief Executive, Seamus McAleavey opened the event explaining how MediaConnect will enable journalists and the media to easily and quickly connect with our sector and support better engagement between the voluntary and community sector and the media. Stephen Gray, Head of Information Management at NICVA demonstrated the MediaConnect website, showing how the media can find spokespeople in the sector by either location or by a topic that they are working on. For the voluntary sector, the website provides a great database to locate local and regional journalists and an opportunity for use as a networking tool within the sector. We were delighted to have Adam Smyth, Head of News BBC NI; Damien Magee, Editor Television News; Jacqueline McIntyre, Editor Politics and Radio Current Affairs and Pauline McKenna, Editor Digital News at our event providing special insight into the inner working of the BBC News team and what makes a news story. We had great feedback from both the BBC and our members who attended the event. The BBC highlighted how our MediaConnect website would be beneficial to them in finding a range of voices in the sector and have started to use the service. If you are a member of MediaConnect, we would encourage you to ensure your profile and contact information is up to date. MediaConnect is a member only service. If you are a NICVA member and would like to know more, get in touch with me by emailing [email protected].